"The Healers Stone", calming and soothing with a soft Angelic energy. Nice tumble stones like these are becoming harder to find now. Infinite is often called "The Healers Stone" as it helps to release all forms of negativity from our physical, emotional, mental or spiritual bodies. Its strength is in its gentleness which helps it to succeed where perhaps a more powerful stone may not. Infinite can help to relieve chronic fatigue and is a good stone for the treatment of joints, muscles, connective tissue and pain relief, especially menstrual or muscular pain. 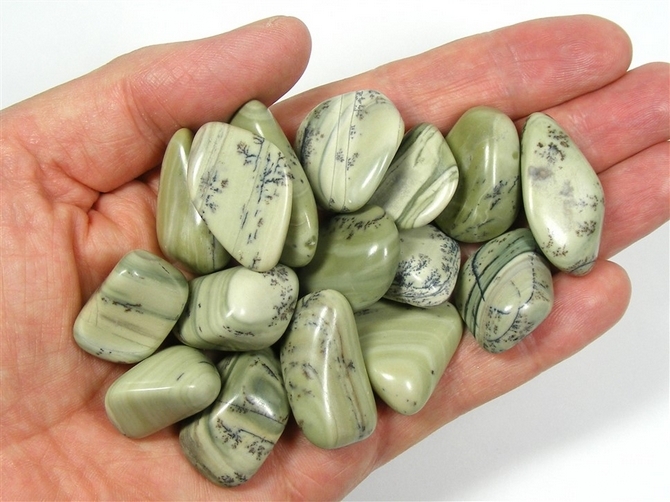 Infinite is a soothing and calming stone with a gentle, loving and Angelic energy. It is an excellent stone for the healing of loss, separation or betrayal. In times of grief and sadness, Infinite can help us to gently release and clear our grief, whilst also providing us with support in starting out on a new phase of our life. Infinite is a stone of independence making us more confident, less sensitive to the opinions of others and not reliant on other peoples appreciation of us. It helps us to move into new social circles without fear. Infinite is also useful in clearing emotional baggage left over from previous relationships. Infinite helps us to connect with the Angelic Realms to receive guidance. 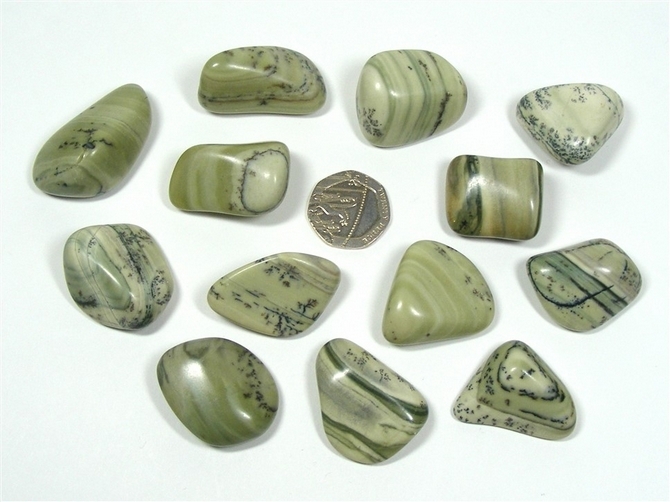 It is an excellent stone for exploring past life issues as it brings together our past and present lives, helps us to speak more easily about the past, and thereby helps us to resolve any outstanding past issues that have been carried over to our present lives. Infinite helps us to be more forgiving and compassionate towards ourselves for what may have happened to us in the past. If the need arises to confront anyone from our past, Infinite will bring some gentleness to the meeting. Infinite helps us to achieve a deeper sense of relaxation during meditation by helping to maintain focus. It helps to align our energies with the natural energy of the Earth and heightens our sensitivity to Ley Lines. It is a very good stone for Earth healing.